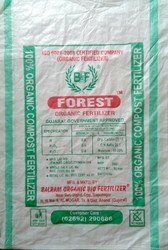 Our product range includes a wide range of liquid bio fertilizers, organic bio fertilizer, balram 303 liquid bio fertilizers, forest organic bio fertilizer, krushi jivan organic bio plant food and organic liquid bio fertilizers. Increasing Organic Carbon in our soil. 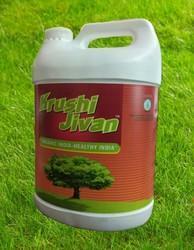 Dripping System: Take 10 Liters of Krushi Jivan and mix it properly with normal water and shake well. Let them mix for 4-5 hours.Then drop to one Acre of land. Note: Filter this mixture by cloth before using through the drip. Drenching Method: Drench Krushi Jivan drop by drop to the main source of water supply of the farm. Let's passes the normal water till Ten minutes, then start drenching Krushi Jivan. Backed by advanced infrastructure, we are indulged in offering a wide array of Organic Bio Fertilizer, which demands due to their precise formulation. These products have a longer shelf life and safe to use. Besides this, customers can avail these products from us in bulk quantity at inexpensive prices. It is a powder form organic fertilizer. It is a Plant Energizer and increases yield significantly. The plant becomes healthy and green. 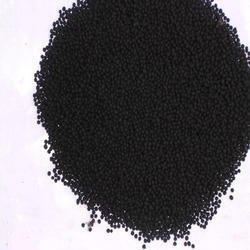 It is widely used in organic and conventional farming. 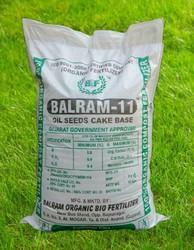 Our company stands tall among the reputed Manufacturers, and Suppliers of Balram 303 Liquid Bio Fertilizers. Bulk orders of these are processed by us as per the specific requirements of the buyers. One can obtain the pesticides at market-leading rates from us. Contact us today! Highly useful for all crops in any seasons. Take-Two ml of Balram 303 and mix with Three ml of Krushi Guard in a separate bottle. Shake well for Two to Three minutes. Mix this solution in One Liter of normal water and apply immediately to the affected area. Do not apply Balram 303 without mixing with Krushi Guard. 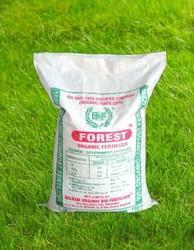 We are one of the leading manufacturers and suppliers of optimum quality Forest Organic Bio Fertilizer. Processed using quality assured ingredients, the offered fertilizers are known for their compositional accuracy, longer shelf life, and purity. Before dispatch at the customers’ end, the offered fertilizers are packed with tamper-proof packaging to avoid any tampering while transportation. 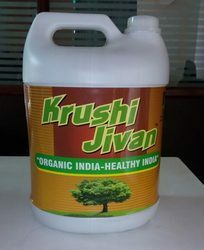 We are offering Krushi Jivan Organic Bio Fertilizer to our clients.Krushi Jivan Organic Bio Fertilizer is all in one plant food. Dripping System: Take 10 Liters of Krushi Jivan and mix it properly with normal water and shake well. Mix them well for 20-25 Minutes. Then drop to one Acre of land.Drenching Method: Drench Krushi Jivan drop by drop to the main source of water supply of the farm. Let's passes the normal water till Ten minutes, then start drenching Krushi Jivan. Our Organic Liquid Bio Fertilizers is a source of organic matter containing all essential plant nutrients and biologically active microbes, which is necessary for the luxurious growth of plants. Acts as Antifungal and Anti Larval, hence soil disease controller in the soil. Cures damaged fertility and increase uptake of nutrients in crops. Our area ability has empowered us to offer a magnificent gathering of Agricultural Bio Fertilizer. The offered products are broadly requested in horticultural commercial ventures. To methodology of this products, our fit group of masters uses just finest grade fixings and most recent systems in agreeability with quality standards.